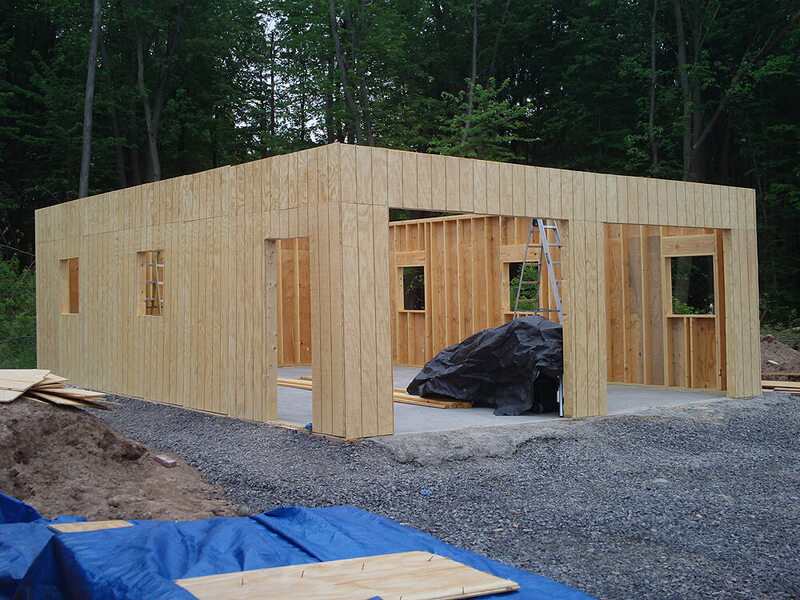 This customer was interested in a 2-car garage to keep his vehicles sheltered and out of the harsh New York winters. One of our sub-divisions, APM TRUSS, designed the attic trusses specifically to meet county requirements. Since snowstorms are frequent and heavy off the Finger Lakes it's important to beef up the load that the trusses can handle. This particular gambrel roof truss allows for a full 12x8 room to be added upstairs within the 24' span. 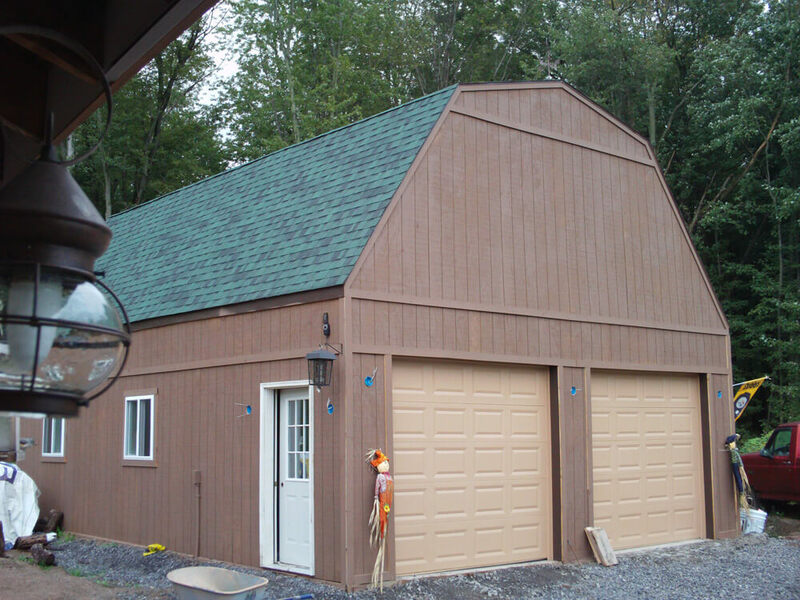 The homeowner wanted more of a natural look for the walls of his garage so APM supplied 5/8 T-111 verses traditional vinyl siding for this building. The Chateau Green Lifetime shingles look great with the natural brown finished T-111 walls.